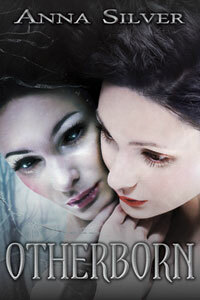 I am so excited to be part of the Otherborn blog tour. I really like dystopia books and as soon as I read the blurb of this book I knew I had to read it. I will share with you my review of this awesome book, the book trailer and the tour wide giveaway. Also don’t forget to check out the other stops in this blog tour. Blurb from Goodreads: London and her teenage friends live in a reprocessed world. This book wasn’t what I expected, different, but better. The world is original and the story is really good. The beginning of the story immediately had me interested. Although the beginning is slow paced in comparison to the rest I didn’t really notice this at the time. I really liked the idea of the Otherborn and then suddnely things were happening and the story became more fast paced and I just wanted to keep reading because it had that keep reading feel, but also because the story was so interesting and I just wanted to know what happened. I think the story is the strongest point of this book, the story really carried the book. And there was enough to keep me interested. In the beginning I had some difficulties remembering who was who and actually I kept that problem. London, the main character, was a likeable character and I likd her personality, although she did some stupid things sometimes. I really liked her and reading her point of view. The other characters are just okay, I didn’t really care about them that much and they didn’t had much personality. But actually that didn’t matter much because the story was interesting enough. Still I would’ve preferred getting to know the characters better, most side characters just weren’t that interesting. Although I did like some of them. The world building is done good enough and was interesting, but there were some holes. Pretty soon we get introduced to the world in which London lives, but I didn’t really understand everything about it and the how and why the world became like this was kept a bit vague. Still there was quite enough world building to keep me interested and enough questions to keep me reading. I really liked the world building concerning the Otherborns, it was really original and I can’t wait to leanr more about them in the next book. Also while the blurb emphasizes that in this world nothing is New, I didn’t quite feel like this was such a big point in the real story. To conclude: this book is carried by the story, interesting, intriguing and fast paced. The main character is likeable, but I didn’t really care about most side characters. The world building was done well, although there were some things that weren’t explained and there are still enough questions left which can be answered in further books. This book is definitely worth the read if you’re looking for an original dystopia. Yeah I think the blurb doesn’t really convey the feeling of the book. I would recommend this book if you’re looking for an original dystopia. I am starting to believe the blurb isn’t such a good representation of the book. Also it only focusses on the first part of the story, probably as to not give away any spoilers.